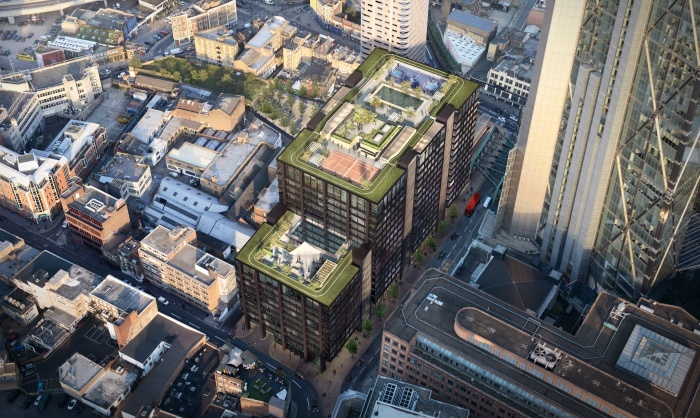 Aquaco have successfully completed the grey water and rainwater recycling system at Principal Place in London, the first of two large systems on the Multiplex site nr. Shoreditch High Street overground station. The system is a 40,000 litre/day MBR grey water system featuring Aquaco’s unique MBR filtration technology, combined with rainwater harvesting and a smart attenuation system. Aquaco designs and supplies grey rainwater recycling and rainwater harvesting systems for residential homes, multi-residential, commercial and institutional applications.